Vintage France Design is a British and French team of antiques and design enthusiasts who hunt for, import and restore French furniture, bathroom fittings, garden objects and decorative antiques. From a design perspective we believe in mixing the old and the new. Our customers want items that clearly show original age that haven't been messed around with so we look for fun, quirky, well-made, beautifully designed pieces with that all important age and patina. Our searches take us to interesting private houses, fairs and brocantes in far-flung corners of France where we find items to sell for sensible prices via our website. Vintage France Design is run and managed by Milena and Marcus Frisby from their HQ near the Channel Tunnel with help from their France-based team of hunters. Milena’s passion for antiques came from her French and American parents who were pioneers in the French architectural reclamation business in the 1970s. Marcus is British, but had French grandparents who were in the wine business in Burgundy and spends a lot of time of time in France. His love of antiques and design started as a teenager spending the holidays in France unearthing unusual objects from his grandmother's house, such as a left behind WWII Mauser pistol, and the purchase of his first Eames chair in the 1990s. The images on our homepage were taken by world-renowned Dutch photographer Daan Oude Elferink. 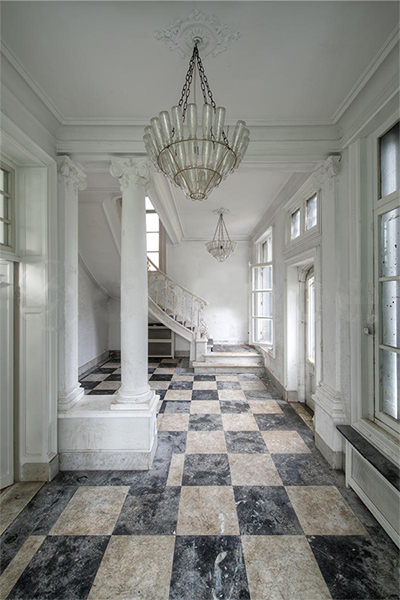 Daan searches out abandoned, historic castles, villas, monuments, hospitals and industrial facilities across Europe, to take us into a world of beauty in age and decay. We share his passion for beauty in age in the pieces we find.